Newcastle pick up home win over Cardiff. 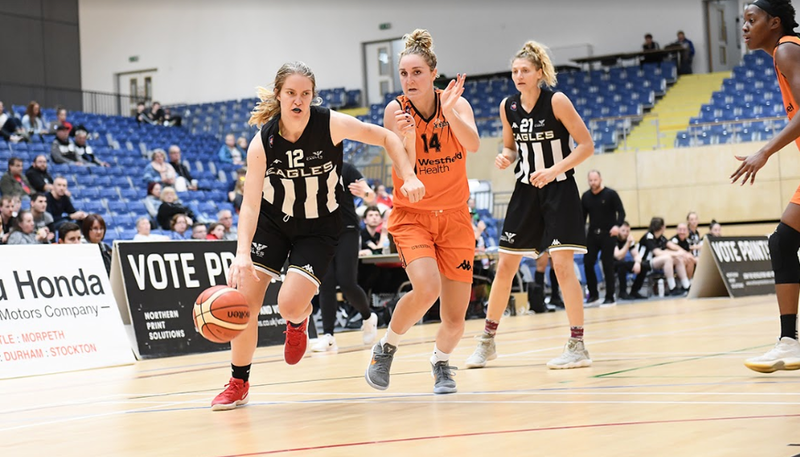 Newcastle Eagles picked up a home win on Saturday, defeating Cardiff Met Archers 77-59. The North-East side, having already qualified for the benecos Play-Offs, will now head to Manchester next week as final placings comes down to the last weekend. Turning point – It was a close game throughout, with both teams trading leads and by the time the fourth quarter commenced, Newcastle were only ahead by seven, but they would then explode on a 12-0 run in the fourth, not allowing Cardiff to score a single basket until three minutes remained, giving Newcastle a strong enough lead to hold off the vistors until the final buzzer. Key stat – Newcastle out-shot Cardiff on the floor, converting just over half (52%) of their field goals and three pointers (54%). Game hero(es) – Georgia Ohrdorf knocked down a big 19 points whilst also putting up six rebounds and two assists.